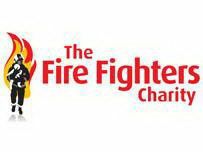 This prestigious event takes place on the 4th June 2010 at Wembley Stadium in London and is deemed to be the most prestigious event in the fire services calendar. We still cannot believe we have been nominated for this award! It has taken us all by surprise; we are still in shock, Thanks Lillia & Linda!! All we can say is a big thank you to Lillia Cochrane and Linda Coughlan and rest of the team for putting us forward for this award and we hope to meet up with you all at the next Firefighters charity abseil, so we can thank you all in person and make sure you are the first group over the edge! Ha Ha.